“This is kind of an old-fashioned job for a legislature like the U.S. Congress or state legislatures to do; to actually, kind of, have a real conversation, bringing in the experts and to talk about what are reasonable expectations,” said former Maryland Rep. John Delaney, who is vying for the Democratic presidential nomination in 2020. He was a keynote speaker at the MobilityTalks International policy briefing ahead of the Washington Auto Show. “And I think, you know, if people are getting in self-driving cars, I think they have a reasonable expectation that a fair amount of their data about where they go is going to be captured,” Delaney said, noting that federal legislation on autonomous technology should disclose how much data is collected from vehicles, and how the data is being used. Another policy point that merits attention is labor. The candidate explained introducing intelligent machines with autonomous capabilities on the roadways might lead to enormous productivity for the freight industry, as well as the construction sector. However, the labor force may be impacted if the technology is introduced in the marketplace too soon. During his three terms in Congress, which commenced in 2013, Delaney founded the Artificial Intelligence Caucus. Under his leadership, the group sought to provide insight and perspective about the potential economic benefits of commercial innovations, such as self-driving cars. Delaney also championed establishing an infrastructure bank as a way to tap overseas corporate profits for big-ticket projects around the country. This year, Congress has not taken up legislation that would create a framework for firms operating in the autonomous vehicle arena. 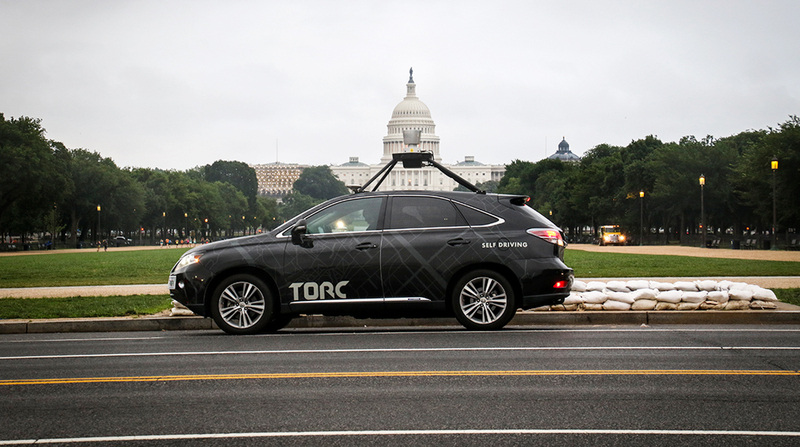 Last month, Republicans on the Energy and Commerce Committee urged the Democratic leadership to schedule consideration of self-driving vehicle legislation. “We have outdated standards and unnecessary barriers, which are slowing the development and deployment of self-driving technology,” Energy and Commerce Committee ranking member Greg Walden of Oregon, and Reps. Bob Latta of Ohio and Cathy McMorris Rodgers of Washington, wrote to committee Chairman Frank Pallone (D-N.J.) on March 13. The panel’s leadership has yet to announce when such legislation would be considered. Last year, self-driving car legislation advanced in the House. Amid privacy and safety concerns, the legislation stopped short of reaching the floor of the Senate. The congressional session adjourned without action on the bill. Privacy advocates argue data about driving habits reveal significant details about an individual. Manufacturers, meanwhile, continue to call on lawmakers to advance comprehensive legislation that would equip them with a policy framework.